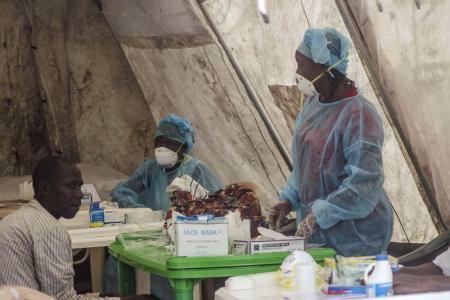 Since the outbreak of the Ebola virus disease back in May 2014, about 200 Sierra Leonean health workers have succumbed to the virus. Its ferocity on health workers has driven many underground. The government and its development partners – notably the World Bank, therefore devised the Ebola hazard payment scheme – a bi-weekly incentive package for health workers. The rationale was to acknowledge the bravery of the ones who are holding on to the fort, and to incentivise them to carry on with their noble service of saving lives. Motivational as this initiative may be, the payment process has been fraught with several challenges. A bloated pay list in an inefficient pay system has caused a lot of haemorrhage of the Ebola funds. The dark image of malfeasance associated with officials in the Ministry of Health and Sanitation (MoHs), has also cast some shadows on the integrity of the process. Besides, a good number of the support staff, who actually constitutes the bulk of the employees in the holding and treatment centres are volunteers. This has come with its own challenges; they are not on the register of the MoHs and some did not even have mobile phones before they joined the fight against the epidemic. This makes verification tedious. The consequence has been substantial delays in the payment of the incentives, necessitating periodic strike actions. But these industrial actions have put a slur – both on the authorities and the image of the men and women on the frontline. 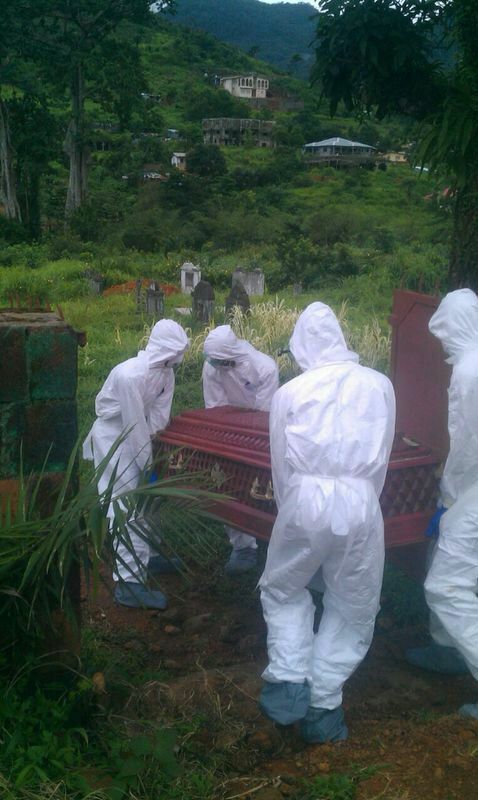 In November 2014, some overzealous members of the burial team in Kenema, Eastern Sierra Leone, denigrated the bodies of victims of the Ebola virus to draw attention to the non-payment of their incentive. Their infamous action was roundly denounced and perpetrators were dismissed. To address this opprobrium, the electronic payment system was introduced in December 2014. The process involves loading the information of eligible beneficiaries onto an electronic platform, which then sends SMS notifications to vendors and recipients regarding payments. The information sent, states who, where and how much to be received. The beneficiary would then present the SMS notification to the designated vendor, who is authorised to pay cash, upon verification. The e-payment system turned out to be even better than expected, said Ray Akwa – a UNDP e-payment consultant, working at the National Ebola Response Center (NERC). Ray further asserted that there is over 90% accuracy in using the e-payment system. “Workers are being paid correctly and no money goes missing”, he said. Nonetheless, delays in remitting Ebola hazard incentive payment persist. Emerson Tan – an e-payment technical consultant at NERC explains that there were significant gaps in the list of health workers, which were migrated to the electronic platforms. “It took two payment cycles for these to be rectified. Once these were sorted out, weak reporting systems and liquidity management – regarding who received what, and which vendor cashed out – became new challenges,” said Emerson. The technical consultant also said that, as the data was being cleaned up, more names were being added. “In just two weeks, the list increased from 16,000 to 20,000 names”, adding that “we do not have control on the expansion of the list”. The effect of this conundrum is substantial delays in the payment of the incentives, which in turn results in industrial action by health workers. On the 11th of January, 2015, I was at the Hastings Ebola Treatment Centre. 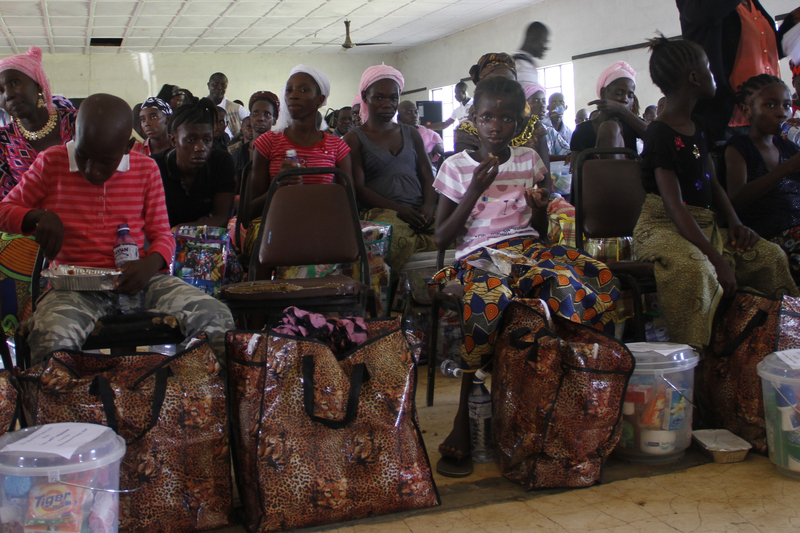 There was a formal ceremony taking place to mark the release of 29 of its patients, who were certified as free of the Ebola virus. It was the 14th of such ceremonies since the centre was established in September, 2014. Since September, 2014 to 11th January, 2015, a total of 751 patients were admitted at the centre, 449 of whom have been discharged. This puts the survival rate at that facility, as high as 60%. 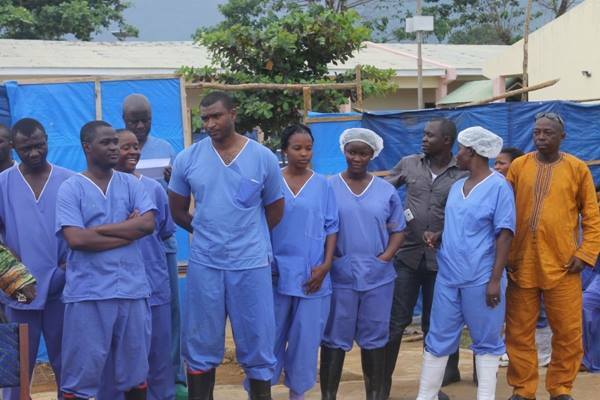 Thus, the Hastings Ebola Treatment Centre, which is being run exclusively by Sierra Leonean doctors and health workers, has been widely acclaimed for its unprecedented achievement in helping to stem Ebola’s brutal mortality rate. The facility has also been acknowledged for its disciplined approach, amid the chaos caused by problems with the Ebola hazard payment scheme. Staff at the Hastings Treatment Centre had never resorted to strike actions in demanding their Ebola hazard payment – that is, until a few days ago. For the first time, those heroes and heroines at Hastings expressed disenchantment over their payment, which they claimed was more than six weeks overdue. Like their colleagues in other treatment centres, they were threatening to disrupt the ‘free from Ebola’ patient discharge ceremonies. Dr. Santgie Sesay – the Coordinator of the Hastings facility, wears a perpetual smile and was as calm as always. But his frustration was as noticeable as the anger of his staff was palpable. “I don’t even want to talk about this anymore. I have tried to explain to them several times, but some of them think I have collected their money”, he told me. “For six weeks we have not received our incentive” one of the workers said. “The last time I collected my money, but this time the vendor told me my name was not on the list, how is that possible?”, another queried. Clearly, the irony of the incentive payments is driving a wedge between the medical officials and their staff. Mr. Wurie – the Planning Manager at the National Ebola Response Centre, along with the Deputy Minister of Health- Madam Madinatu Rahman, were at hand at Hastings to pacify the disenchanted staff. “What really happened with the payment; why has it taken six weeks”; I asked. Wurie replied that the problem has to do with the integrity of the list, and the technical problems associated with the electronic payment system. I have worked as a Customer Operations Manager in two mobile telephone companies in Sierra Leone and I can attest that, with competent staff, the electronic payment platforms could be extremely efficient in delivering such money transfers, as well as management of client information. Admittedly, there could be some systems failure for a number of technical reasons, but these could be pin-pointed and rectified, usually within 48 hours at the latest. Literally, computer systems are fed and will give out what they are commanded to produce – garbage in garbage out. Analysts say, while all technical issues regarding the Ebola electronic payment should be looked into, the MoHs and the NERC should also spend some time to do what many would like them to do – look deeply within. 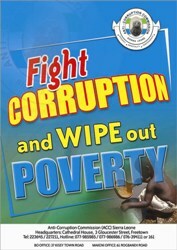 But as I write, it is likely that the Anti-Corruption Commission would help with that introspection. Reports say that the Anti-Corruption Commission has written to NERC, demanding information relating to the Ebola hazard payment scheme. This might be the initial step to another round of investigations into officials at the MoHs and NERC, who have taken over the ebola response. They may well be asked to answer some questions.